As soon as you walk into Chaco Bar, you can totally smell the yakitori cooking. 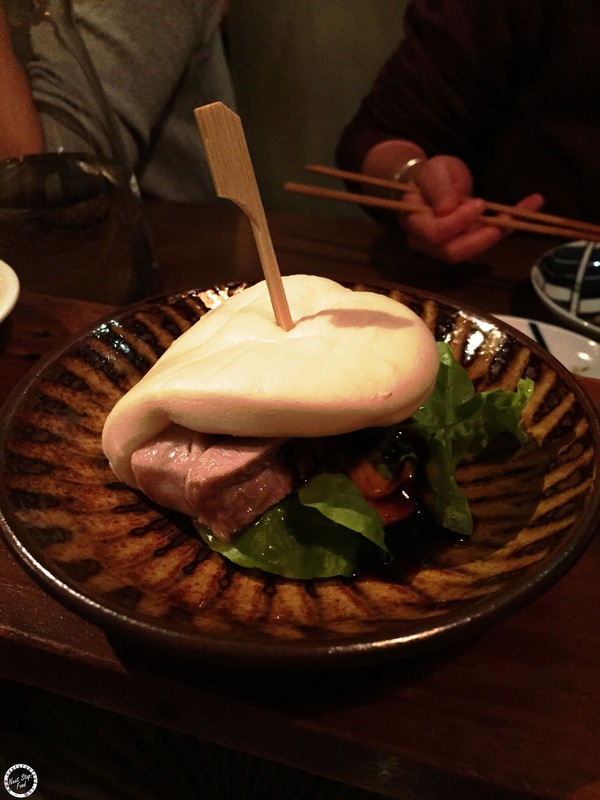 Besides yakitori, Chaco Bar offers other food as well, like this "slider", which is actually a bao! 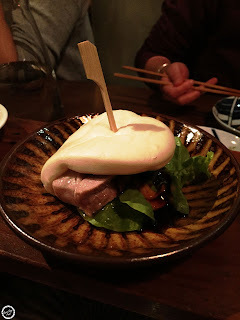 The bun was so soft and fluffy and most important, the pork belly, it just melts in your mouth!!! And the sauce was kind of sweet which bind everything together. It was so good! 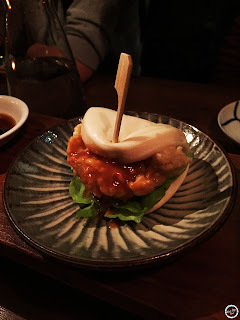 The prawn was crispy but I think I prefer my baos with pork belly. 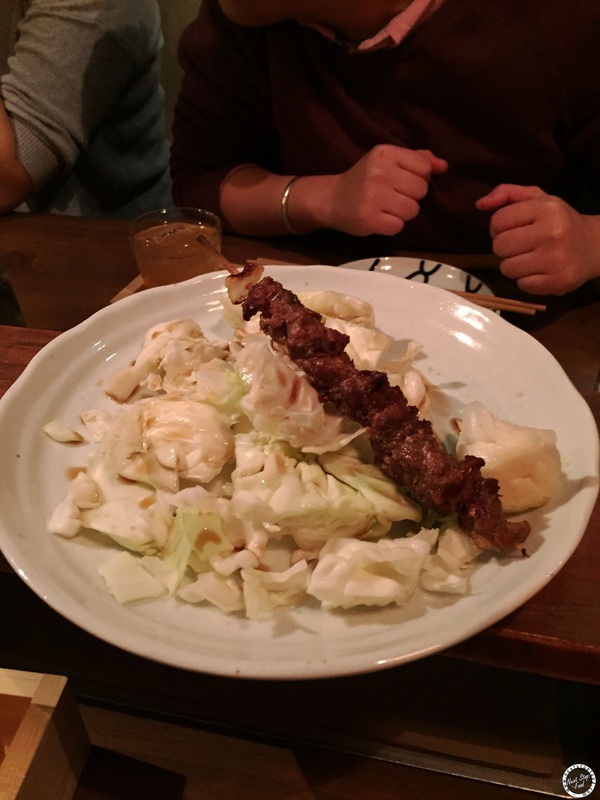 We ordered the chefs 6 skewers and was a bit puzzled with the plate only arrived with 1 on a bed of cabbage. 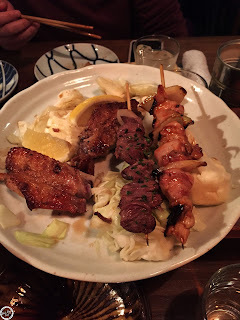 The waitress explained that the yakitori is cooked in different times so will come out separately. The first one that came out was the lamb which was a bit gamey so if you don't like lamb at the best of times, don't try this! The pork belly like the ones in the bao, melted in my mouth and gotta love chicken wings! Chicken thighs which was succulent and delicious with the spices on top. 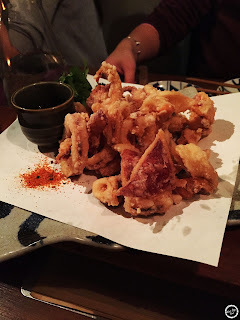 We had to wait for awhile for the chicken skin to come out, so I forgot to take a pic!! It was definitely worth the wait, so crispy covered with sweet sauce. 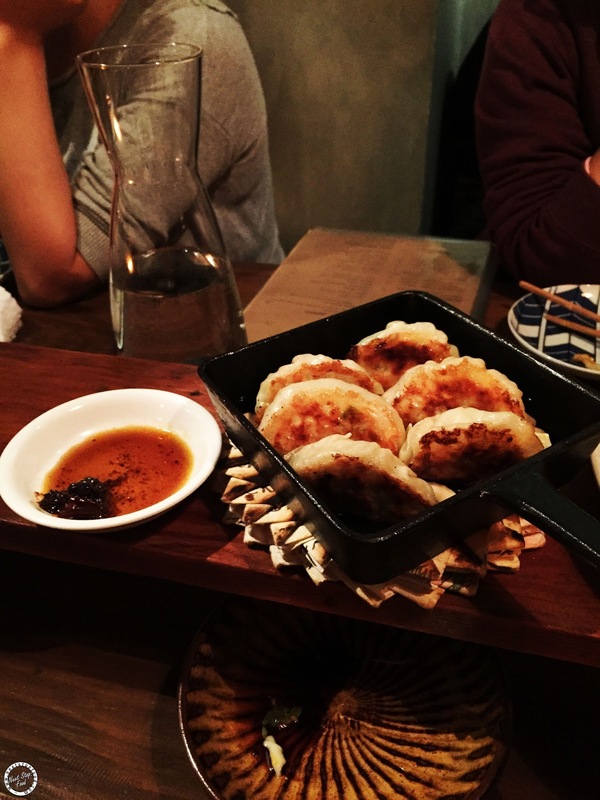 Careful when eating these yummy gyoza because they literally come out on a sizzling plate! 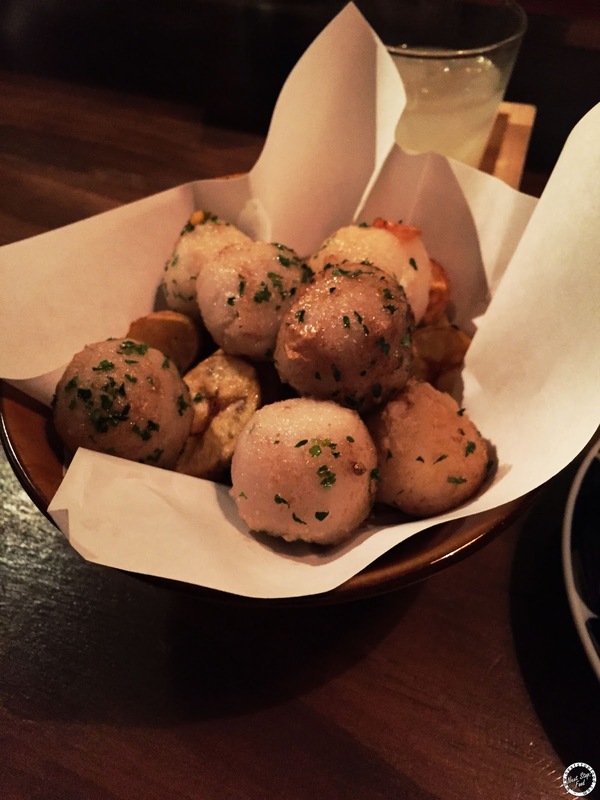 They were packed with flavour inside the thin wrapping. Oh man! This was the bomb! Sweet eggplant and the tasty miso sauce is the perfect combo. While waiting, too many tables ordered this so we HAD to try it and also I love taro. This was soft and very moreish. By the time the calamari arrived, I was already quite full but still managed to fit some into my stomach. They were lightly battered and the aioli was a bit salty. 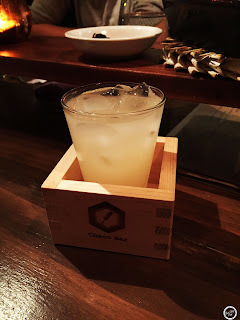 For drinks, we first tried the sleeping dragon which was sweet but so smooth to drink. 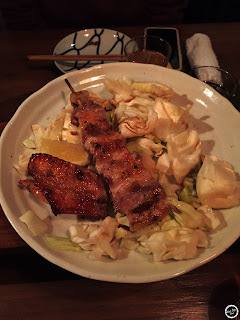 I LOVED this, yuzu in anything is good :) It's tangy and went great with all the food we ate. 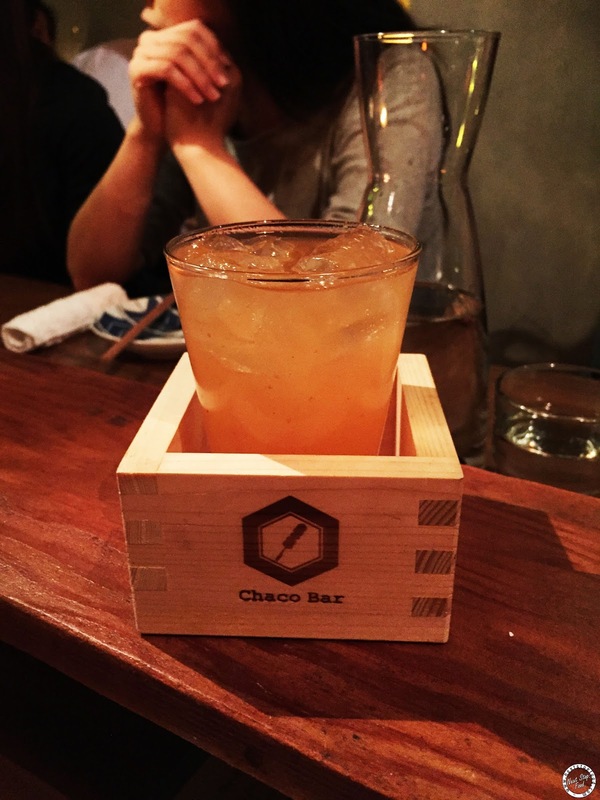 Chaco Bar gets busy so remember to book! Because it was full house on a Friday night, it was very hard to get the waitresses attention. But what matters is the food, I would come here again and I do want to try their ramen which is available at lunch time Wed-Sat. 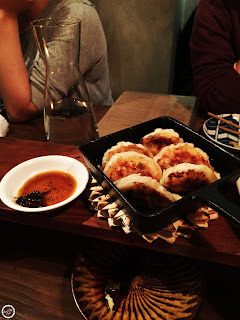 i tried their ramen on sat and it was amazing! ive definitely gotta try their normal menu now! How good is Chaco Bar! 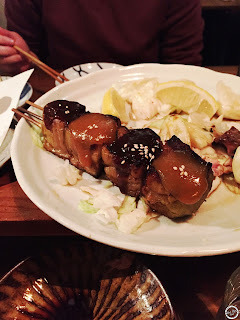 Their tsukune is amazing and I love how they offer all kinds of offal bits too. Have to try their offals next time! this place is ace! definitely reminds me of the izakayas in japan!